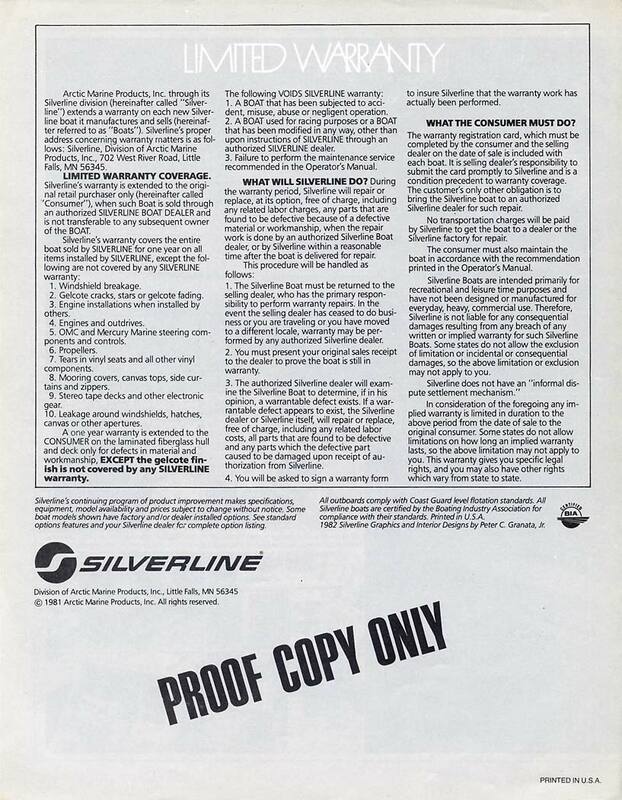 In this 1981 "proof copy" Silverline sales brochure, it's apparent that Arctic Enterprises' initial intent was to keep Silverline as a separate division even after the closing of the Moorhead factory. 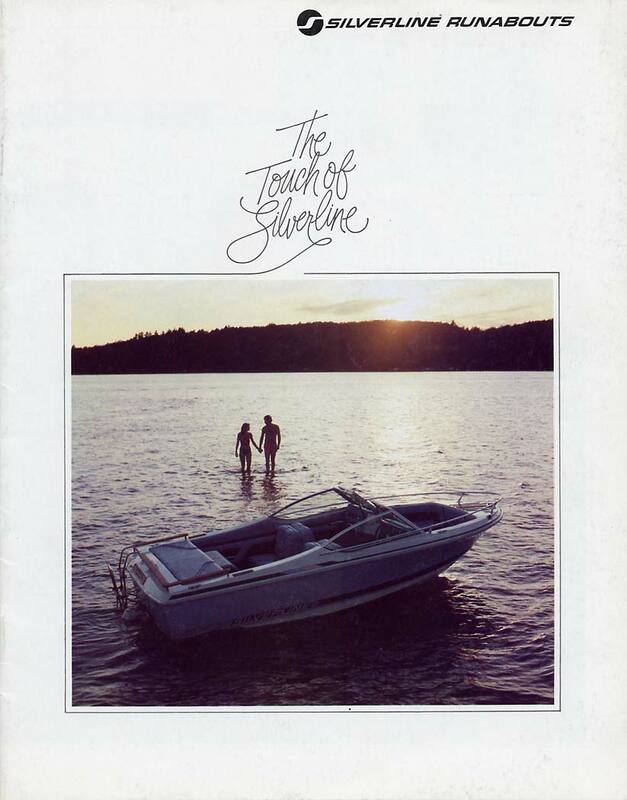 It's even more apparent that Arctic was trying to keep the Silverline cache intact in this final "Silverline Runabouts" catalog from 1981; they mention the Silverline name six times in the introductory paragraph! 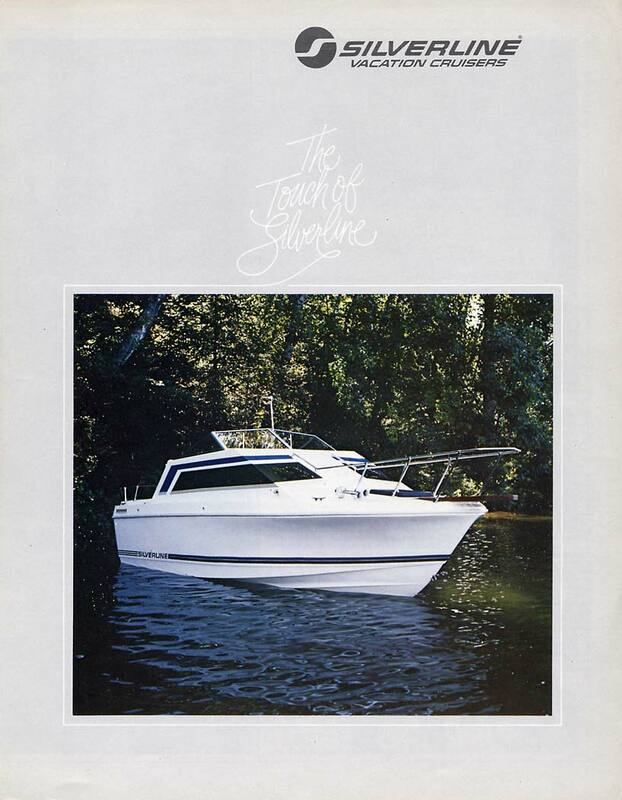 However, by the time this 1982 Larson catalog was printed, Silverline had become a "brand" of the Larson line of boats. 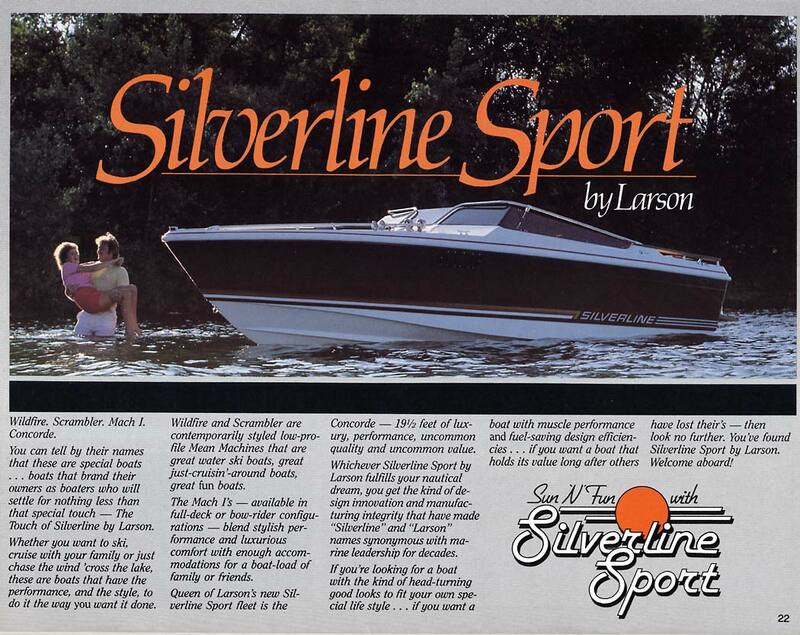 While they still sported the Silverline name across the side, their design was difficult to distinguish from the rest of the Larson product line. 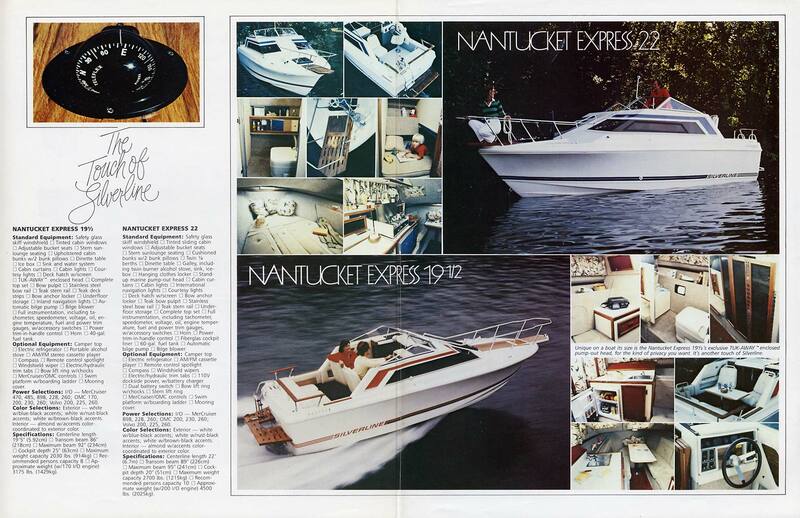 In fact, the most enduring of the Silverline models, the Nantucket, was now a Larson! 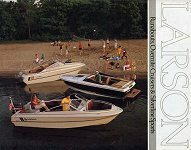 Ironic, really, when you consider the fact that John Buckman, the founder of Moorhead Plastics and Silver Line Boats, learned the boat building business while working at Larson in the mid-1950s. Things had come full circle. 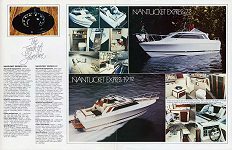 That said, I was recently contacted by the owner of a 1982 Nantucket with the interesting Hull ID number of SLVA0115M82A. This indicates a manufacture date of August, 1982. What I found most interesting, however, is the SLV for Silverline in the number. 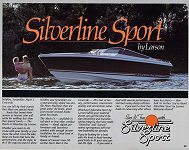 While Silverline was a now a Larson model, it still sported the SLV manufacterer code, even though the tag also states that the boat was made at the Little Falls plant. What does it all mean? I don't know. 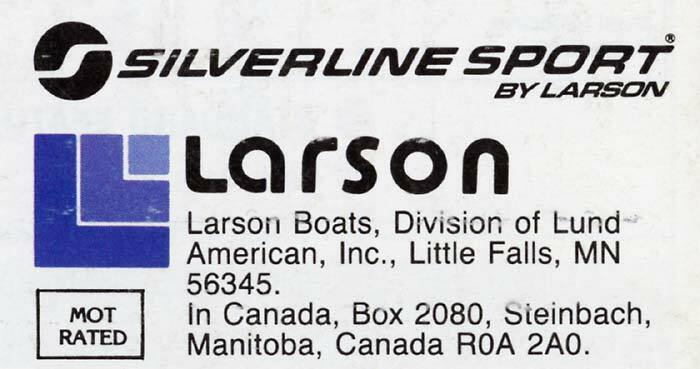 But it seems that even two years after the closing of the Moorhead plant, Larson and Arctic Enterprises still hadn't quite figured out what role Silverline was to play in their lineup.